The quote says everything for the modern generation, who is more conscious about their fitness. Today where everybody caries a smartphone and world is moving towards the Smart Watch, it’s time to be smarter in your workout and fitness as well. In this changing world no one has time, and everyone wants to gain maximum out of whatever they get. 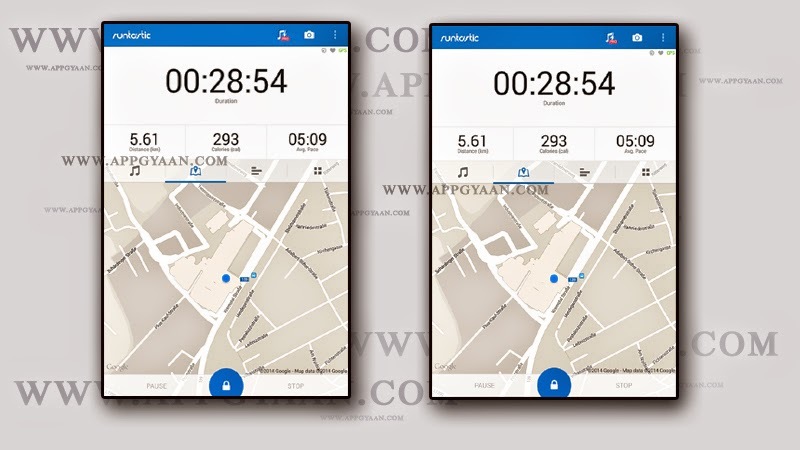 Same condition apply for the workout as well, everybody wanted maximum result in minimum time, so to make it easy many Application development company has come up with different apps to monitor your daily workouts. 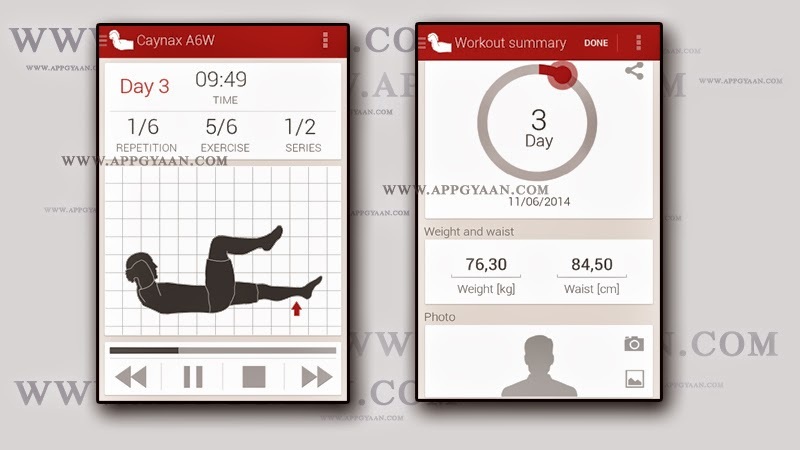 Fitness apps helps you to monitor your work and also helps you in achieving your fitness goals. There are many apps in this category on different mobile platforms, but today we are going to discuss about the five best fitness apps for the Android devices. So let’s start the list…. With the concern of your better health and fitness, technology developer Google has come up with the Google Fit Platform. Google Fit is also an answer of Apple Health’s App. Google Fit is a platform where the fitness app gets integrated to work and gives you the best result. 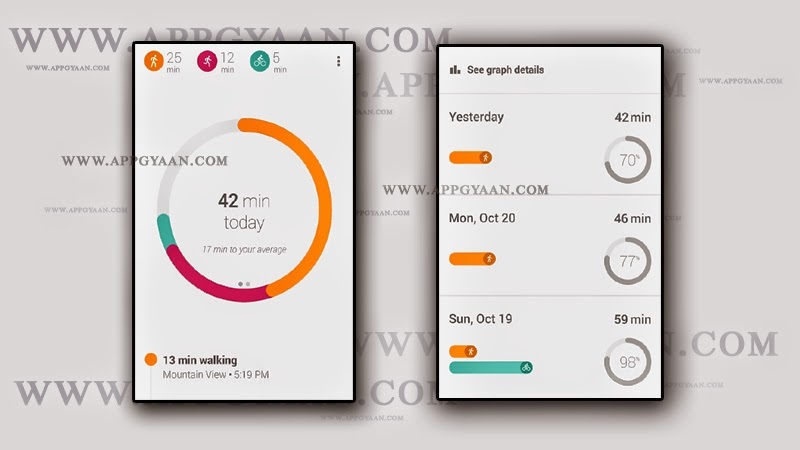 Google Fit works with the built-in sensors of your android devices. They automatically detect the activities like walking, running and biking. Some of the cool feature of Google Fit is you can “Set Goals”, “Add Activities” and at the last you can also view the data of your Activities. If you start your day with running to make yourself fitter or you are a professional runner and you are looking for the app to monitor your speed then this app is the right choice for you. Nike+ Running app tracks your run, helps you to do speed count and also leads you to reach your targeted goal. It tracks your running irrespective of where you are running, either on trial, treadmill or street. It tracks your distance with the help of your device accelerometer and GPS. The best part of Nike+ Running is it helps you to be motivated. You can share your run with your friend and get appreciated. 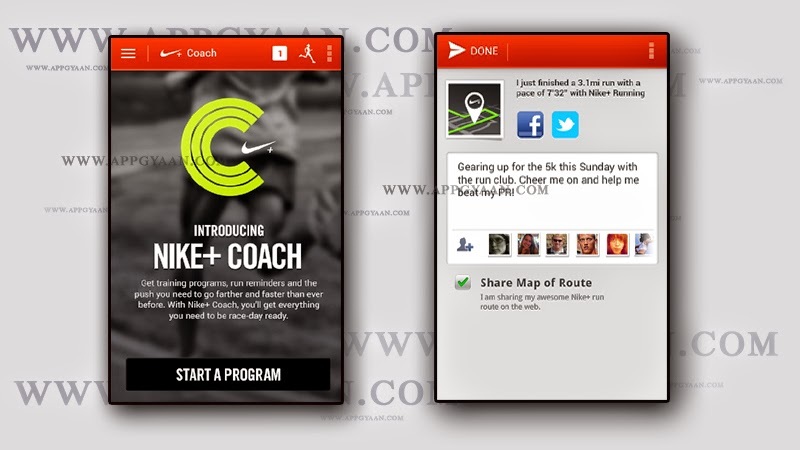 Nike+ Running provides option of competition, where you can compete with your friend to reach on the top of leader board. Other than this entire feature Nike+ Running gives you a coach which helps you in becoming Race ready. Runstatic Running is one of the best fitness app available for the download in play store. 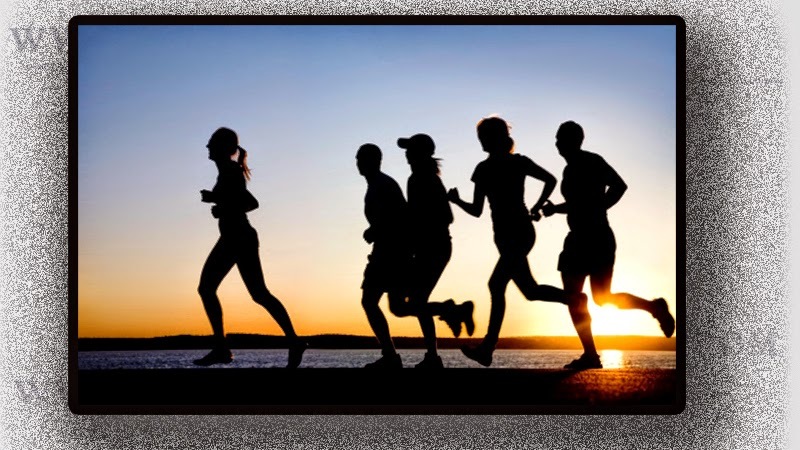 Runstatic Running works with the GPS system of your Android Device to map and track you sports and fitness activities. Runstatic helps you to track your fitness activities like Running, Jogging, Biking and Walking. Some of the key features of Runstatic are that you can maintain your personal dairy to keep the records of your daily workouts. With the help of Runstatic Running you can see your workout in 3D (for this you have to download the Google Earth app). Runstatic has got the voice coach, which gives you Audio feedback on your personal preference. 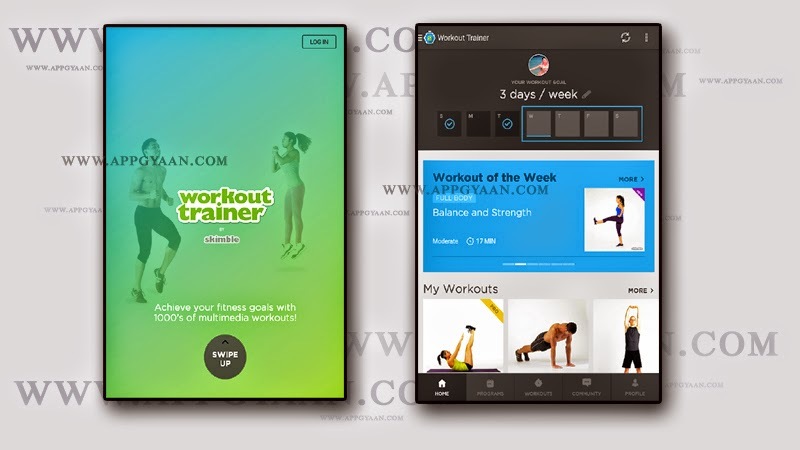 Workout Trainer is a collection of thousands of free and premium workout Programs, to achieve your fitness goals. Workout Trainer helps you in focusing on a particular area like Six Packs, weight loss; improve your running, practice yoga and many more, all this with certified personal trainers guide. They guide you step by step with Audio, Photo and Video instructions, it helps you to be fit irrespective of where you are doing your exercise, at home or at gym. The best feature of this app is, it helps you to get in shape without using any exercise machines or equipment. As the name suggests, it is a workout guide for making Abs. This app has got a workout schedule of 42 days. Daily Ab workout contains 6 exercises to perform every day to get perfect 6 packs. The biggest drawback of this app is that this is not meant to reduce the weight and also this app does not work as personal trainer. In short this app is introduced for people who are already fit and wants to become perfect. Hope you have liked the list and also hope that it will assist you in getting fitter and healthier. Do share your comments and suggestions so that we can bring best for you. Do share the post with your friends & Family to help them to stay fit and healthy.